(NNPA) - It was another right-on-time moment that Ben Jealous exercised at the NAACP Convention in calling out the Tea Party for coddling elements of racism within their midst. The Convention went on to passed a resolution to this effect, calling on the leadership of the party to repudiate these elements, but it will not become official until approved by the Executive Committee in October. Right away, Mark Williams, the head of a group called the Tea Party Express and a California radio host, posted a letter to his website that was aimed at Jealous and dripping with racism. It said in part: “We Coloreds have taken a vote and decided that we don’t cotton to that whole emancipation thing. Freedom means having to work for real, think for ourselves, and take consequences along with the rewards. That is just far too much to ask of us Colored People and we demand that it stop.” With this racist letter, he made Jealous’ case and he did it so strong that, flush with sensitivity to the NAACP charges, the Tea Party Federation kicked Williams out. This was a positive act by the Federation because the leading lights of the Republican Party still, either said nothing, or defended the movement. For instance, Mitch McConnell, Senate Minority Leader, said that he was not “interested in getting into that debate” on CNN. When asked whether he had seen the signs depicting the president as Hitler and etc. he defended it by saying that such extremism exist at the fringe of both parties. But the usual suspects, Fox people like Glen Beck, Sarah Palin, and others jumped into the fray to defend the movement. Palin, regarded as the mother of the Tea Party movement, said that the charge of racism was unfair and Glen Beck, FOX TV show host, said he would repudiate the elements of racism if he knew where they were. What surprised me was the opposition of Cynthia Tucker, African-American editor of the Atlanta Journal-Constitution who wrote that the NAACP had no business condemning the Tea Party. Her view was: 1) she did not know what “elements” of racism were; 2) this would confirm that the NAACP was an arm of the Democratic Party; 3) the NAACP did not purge its own ranks; and 4) the resolution just draws attention to the Tea Partiers. This is very weak stuff for the editor of a major American newspaper, especially coming an African American. With enough space, I – or any one else -- could easily prove all of them wrong. The big push-back from the Right however (more of a political strategy) has been to raise the New Black Panther Party case from the grave. On November 4, 2008, some members of the New Black Panther party went to a polling station in downtown Philly because they had heard that white people would be trying to stop blacks from voting for Obama. It was absolutely stupid for one of the young men to go down there with a club in his hand and a McCain staffer photographed him in front of the polling station. The Bush administration Justice Department did not bring suit because although the law (intimidating voters) was potentially broken, no one had been prevented from going to the polls; in other words, there was no injured party. Now the case is in the Civil Rights Division of the Justice Department and Conservatives have charged that Eric Holder is covering it up and a former conservative staffer who resigned said the case was not being pursued because they only want to bring discrimination charges against whites. So, Fox news and other Right wingers have succeeded in pushing this issue up into the spotlight by arguing that the liberal fringe also has racist groups. Most important, they have charged that the left wing media wasn’t carrying the story and The Washington Post, CNN and others have slavishly fallen in line. So, if some people want to compare the actions of the New Black Panther party to those of the Tea Party which, although it is overblown, still has thousands of adherents, it calls into question their motives. 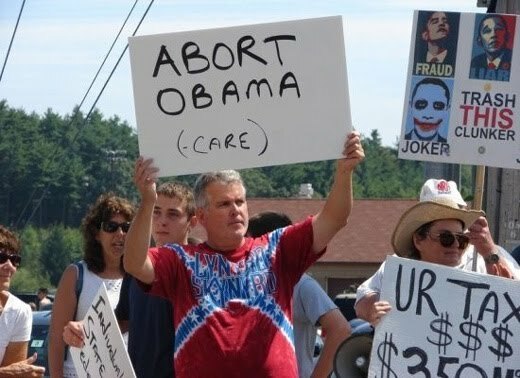 Most likely they want to cover up the racism in the Tea Party. The Panthers have no influence in black or Democratic Party leadership circles but the Tea Party is the main influence in the Republican Party at this time. Still, I am amazed that major news organizations, so intimidated by the Right, will give credibility to this made-up story on the Panthers on equal terms to the NAACP’s criticism of Tea Party racism. 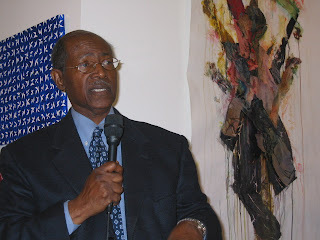 Dr. Ron Walters is a Political Analyst and Professor Emeritus of the University of Maryland College Park. His latest book is “The Price of Racial Reconciliation”(University of Michigan Press). Studio of Sean Bell, 23, with his fiance Nicole. Bell was shot dead by police in 2006. Police fired some 50 rounds and struck Bell's car 21 times. Joseph Guzman and Nicole Paultre Bell leave Brooklyn Federal Court Tuesday. Trent Benefield leaves court following the settlement. 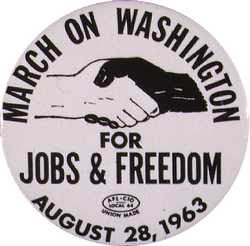 (NNPA) - On August 28, 1963, during the “Civil Rights Movement”, a rainbow of people—Red, Yellow, Brown, Black, and White—traveled to Washington, DC to protest the lack of Jobs and Justice for African Americans. Forty-seven years later not much has changed in some ways, but a lot has in other ways. Joblessness in the Black community may be worse than the rate in 1963. The number of African Americans unemployed is officially doubled the national average. In many cities and towns across the nation unemployment is 20, 30, 40, 50, and even 60 percent. In early July, the Congressional Black Caucus held a hearing citing the national issue of African American unemployment. According to a report by the Congressional Joint Economic Committee unemployment rates are at least double to those of their White counterparts. Similar to joblessness, the lack of justice in the Black community remains a significant issue. The most widely publicized case was the acquittal of three New York police officers accused of unjustifiably shooting to death Sean Bell on his wedding day three years ago. The organizers of the 1963 March on Washington (A. Philip Randolph, Bayard Rustin, Doctors Dorothy Height and Martin Luther King, Jr.) used the backdrop of President Lincoln’s Memorial to challenge the United States government to live up to its promise of equal justice for all, regardless of race, religion or resources. The issue platform of Jobs and Justice was predicated on the moral injustice of racism and the importance of the federal government enforcing the law equally. Today, Glenn Beck and his Tea Party followers are today’s states’ rights segregationists who believe the federal government has no right to interfere with the right of states to enact and enforce racially and ethnically laws. The most infamous example is the recent law in Arizona permitting police officers to randomly stop persons suspected of not being a United States citizen, the effect of which will be to unjustly profile people of Brown or Black skin. In maybe the most perverse transversal of good to bad messaging Glen Beck has the audacity to claim that the spirit of the 1963 march as articulated by Dr. King is consistent with issue platform of Tea Party members. Wrong! Conversely, today’s civil rights advocates such as members of the Black Leadership Forum believe in a strong federal government that enforces anti-discrimination laws for all people towards the public good. Not only do we believe “…that this country was made for you and me”, those who think otherwise are un-American. Therefore, when Glen Beck an his un-Americans travel to the Lincoln Memorial on August 28 we will pray for their realization that the ideals of America are inclusive such that one group (White Americans) should not benefit from “life, liberty, and the pursuit of happiness” to the detriment of people of color. Gary L. Flowers is executive director & CEO of the Black Leadership Forum, Inc. Many of those workers were cashiered for no reason other than outright greed by corporate managers. And that cruel, irresponsible, shortsighted policy has resulted in widespread human suffering and is doing great harm to the economy. As Professor Sum studied the data coming in from the recession, he realized that the carnage that occurred in the workplace was out of proportion to the economic hit that corporations were taking. While no one questions the severity of the downturn — the worst of the entire post-World War II period — the economic data show that workers to a great extent were shamefully exploited. Having taken everything for themselves, the corporations are so awash in cash they don’t know what to do with it all. Citing a recent article from Bloomberg BusinessWeek, Professor Sum noted that in July cash at the nation’s nonfinancial corporations stood at $1.84 trillion, a 27 percent increase over early 2007. Moody’s has pointed out that as a percent of total company assets, cash has reached a level not seen in the past half-century. There can be no robust recovery as long as corporations are intent on keeping idle workers sidelined and squeezing the pay of those on the job. It doesn’t have to be this way. Germany and Japan, because of a combination of government and corporate policies, suffered far less worker dislocation in the recession than the U.S. Until we begin to value our workers, and understand the critical importance of employment to a thriving economy, we will continue to see our standards of living decline. 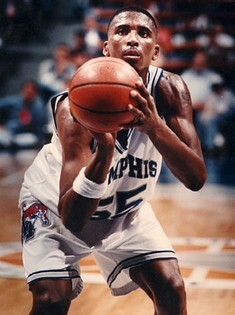 Congressman Steve Cohen today remembered Memphian Lorenzen Wright on the House floor. "The world always makes the assumption that the exposure of an error is identical with the discovery of truth--that the error and truth are simply opposite. They are nothing of the sort. What the world turns to, when it is cured of one error, is usually simply another error, and maybe one worse than the first one." On June 7, 2010, Curtis Flowers became the first person in U.S. Judicial History to be tried 6 times on the same evidence. 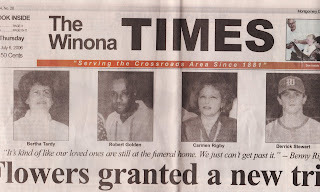 He is accused of the quadruple murders of his former employer, Bertha Tardy, and her three employees at her business, Tardy Furniture, on the morning of July 16, 1996 in Winona, MS. There is no clear evidence, fingerprints, DNA or otherwise, tying Curtis Flowers to the scene of the crime. 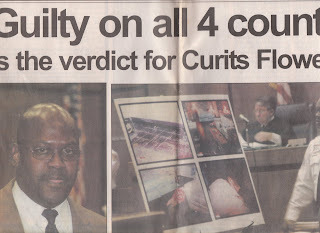 On June 18, 2010, Curtis Flowers was found guilty on all four counts of first degree murder by a jury of 11 whites and one black. It took the jury less than 27 minutes to decide Curtis Flowers' fate. 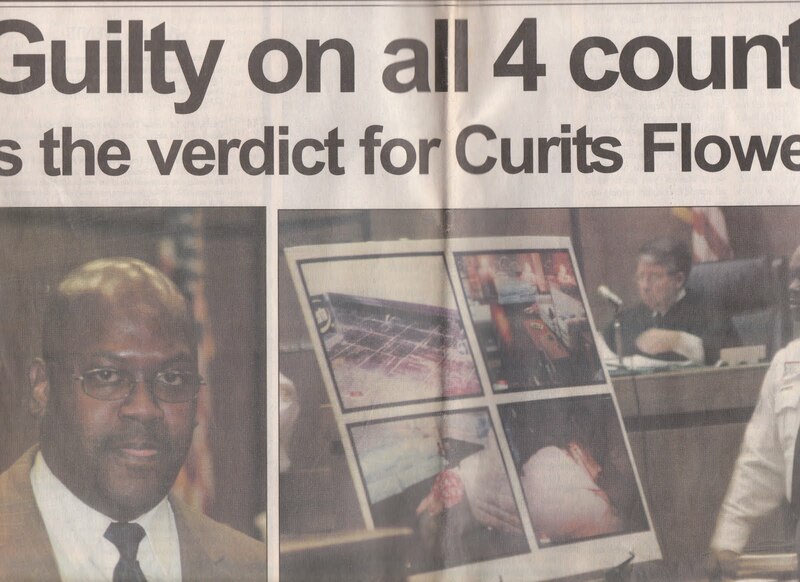 On June 19, 2010, Curtis Flowers was sentenced to death by lethal injection by the state of Mississippi. Montgomery County by the way is 45% Black. They say that justice delayed is justice denied and by no means is this justice, just 14 years and six trails of pure frustration and futility. Bro. Curtis did not have a fighting chance from the outset. A majority of the jurors thought him to be guilty even before they were selected as jurors and that is easily displayed by the swiftness of their judgment/verdict. Many of the jurors should have not been selected because they were either related to some of the victims or were friends/admirers of the victims and their families respectively. To add further salt to an already grossly infected and caustic wound it was revealed on the July 14, 2010, edition of W.E. A.L.L. B.E. Radio by Curtis Flowers’ mother, Mrs. Lola Flowers, that Roxanne Ballard, Bertha Tardy’s daughter and the original accuser of Curtis Flowers who by the way never met Curtis before that fateful and tragic day of the murders, approached her during a recess at one of the previous trials to offer her food and to confess that she knew that Curtis didn’t do it, but that someone had to be punished for the horrendous crimes! 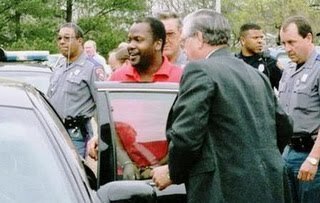 So I ask why is the state of Mississippi wasting taxpayers' money persecuting an innocent man? The effort is underway for a push for a Flowers VII. With VII being a holy number, hopefully some divine intervention will be provided in favor of Bro. Curtis. W.E. A.L.L. B.E. News will keep you posted. 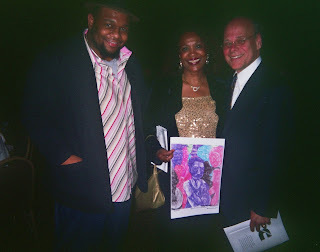 Ronald Herd II aka R2C2H2 Tha Artivist is the founder of The W.E. A.L.L. B.E. Group Inc. (http://www.weallbe.blogspot.com) & author of the award winning James Reese Europe: Jazz Lieutenant (http://www.jazzlieutenant.blogspot.com). He can be reached at r2c2h2@gmail.com. 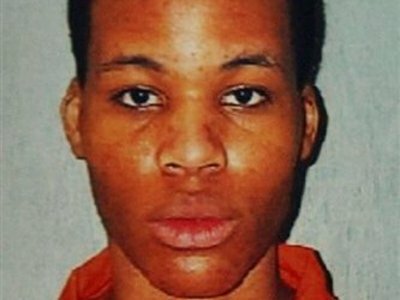 RICHMOND, Va. (AP) -- Convicted DC sniper Lee Boyd Malvo tells actor William Shatner on a cable TV special that he and his partner tried to recruit fellow shooters for their 2002 spree and that his accomplice killed one man for backing out, according to the program set for airing Thursday. In a telephone call from a southwest Virginia prison, Malvo told Shatner two men planned to join in the attacks to make them more deadly but reneged. Malvo said his fellow shooter, John Allen Muhammad, killed one of the men in retaliation. Malvo did not identify them in the interview for a show on the cable channel A&E. Malvo's revelations came in response to questions about claims by a psychiatrist that the duo had co-conspirators. The psychiatrist, Neil Blumberg, who worked with Malvo before his trial, also said Malvo had confessed to more shootings in addition to the spree that terrorized the Washington region in 2002, when 13 people were hit and 10 of them died. The sniper-style attacks all but paralyzed the nation's capital, as people were shot at random while going about their everyday life -- pumping gas, buying groceries, and for one young boy, as he went to school. The shooters used a high-powered rifle, firing from the trunk of a modified Chevy Caprice until they were tracked down at a Maryland rest stop. 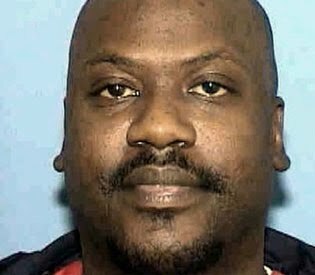 JARRATT, Virginia (AP) -- Sniper John Allen Muhammad refused to utter any last words as he was executed, taking to the grave answers about why and how he plotted the killings of 10 people that terrorized the Washington, D.C., area for three weeks in October 2002. The 48-year-old died by injection at 9:11 p.m. Tuesday (0211 GMT) as relatives of the victims watched from behind glass, separated from the rest of the 27 witnesses at Greensville Correctional Center. Muhammad was executed for killing Dean Harold Meyers, who was shot in the head at a Manassas gas station during the spree across Maryland, Virginia and Washington, D.C. He never testified or explained why he masterminded the shootings with the help of a teenage accomplice. That left questions unanswered about why he methodically hunted people going about their daily chores, why he chose his victims, including a middle schooler on his way to class, and how many victims there were. 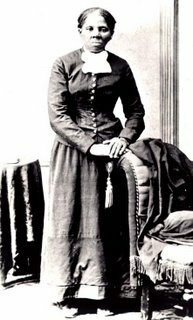 Muhammad stepped into Virginia's death chamber and within seconds was lying on a gurney, tapping his left foot, his arms spread wide with a needle dug into each. "Mr. Muhammad, do you have any last words?" the warden asked. Muhammad, looking calm and stoic, said nothing. Meyers' brother, Bob Meyers, said watching the execution was sobering and "surreal." He said other witnesses expressed a range of feelings, including some who were overcome with emotion. "I would have liked him at some point in the process to take responsibility, to show remorse," Meyers said. "We didn't get any of that tonight." After the first of the three-drug lethal cocktail was administered, Muhammad blinked repeatedly and took about seven deep breaths. Within a minute, he was motionless. Nelson Rivera, whose wife, Lori Ann Lewis-Rivera, was gunned down as she vacuumed her van at a Maryland gas station, said that when he watched Muhammad's chest moving for the last time, he was glad. "I feel better. I think I can breathe better," he said. "I'm glad he's gone because he's not going to hurt anyone else." J. Wyndal Gordon, one of Muhammad's attorneys, described his client in his final hours as fearless and still insisting he was innocent. "He will die with dignity -- dignity to the point of defiance," Gordon said before going inside to watch the execution. The terror ended on Oct. 24, 2002, when police captured Muhammad and Lee Boyd Malvo while they slept at a Maryland rest stop in a car they had outfitted for a shooter to perch in its trunk without being detected. Malvo, who was 17 when carrying out the attacks, was sentenced to life in prison without parole for killing Linda Franklin, a 47-year-old FBI analyst who was shot as she and her husband loaded supplies at a Home Depot in Virginia. The men also were suspected of fatal shootings in other states, including Louisiana, Alabama and Arizona. The U.S. Supreme Court turned down Muhammad's final appeal Monday, and Gov. Timothy M. Kaine denied clemency Tuesday. Muhammad's attorneys had asked Kaine to commute his sentence to life in prison because they said Muhammad was severely mentally ill.
"I think crimes that are this horrible, you just can't understand them, you can't explain them," said Kaine, a Democrat known for carefully considering death penalty cases. Muhammad was born John Allen Williams and changed his name after converting to Islam. He had been in and out of the military since he graduated from high school in Louisiana and entered the National Guard. He joined the Army in 1985. He did not take special sniper training but earned an expert rating in the M-16 rifle -- the military cousin of the .223-caliber Bushmaster rifle used in the D.C.-area shootings. The motive for the attacks remains murky. Malvo said Muhammad wanted to extort $10 million from the government to set up a camp in Canada where homeless children would be trained as terrorists. Muhammad's ex-wife said she believes they were a smoke screen for his plan to kill her and regain custody of their three children. 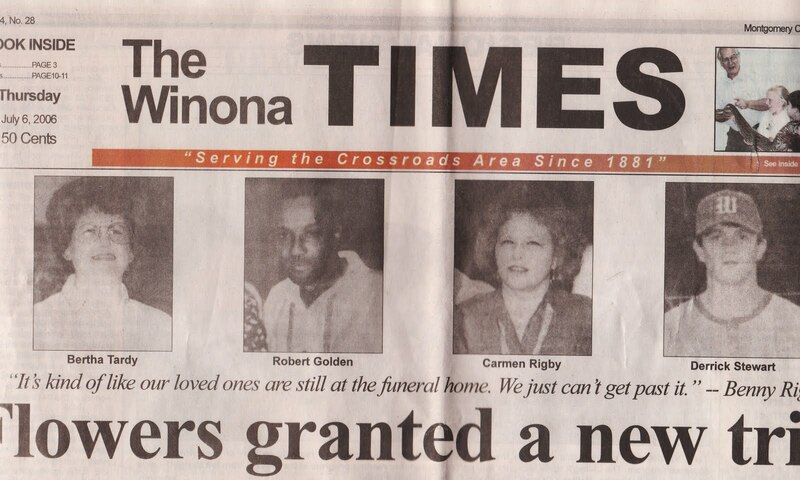 Sonia Hollingsworth-Wills, the mother of Conrad Johnson, the last man slain that October, sat in the back seat of a car outside the prison before the execution, which she chose not to witness. But she said she wanted to be there and was counting the minutes until Muhammad's death. Cheryll Witz, who's father, Jerry Taylor, was fatally shot on an Arizona golf course in March 2002, said she was unhappy that Muhammad didn't say anything before he died. But she said his execution begins a new chapter in her life. "I've waited seven long years for this," she said. "My life is totally beginning now. I have all my closure, and my justice and my peace." WASHINGTON — Black farmers, due $1.2 billion for a legacy of discrimination by the U.S. Agriculture Department, suffered a new and disheartening setback this week, despite the national spotlight provided by the quickly disavowed firing of a black department worker. The Senate refused again to pay the bill. Opponents say it is a question of where the money would come from, and that is a major issue with an election nearing and voters up in arms about federal spending. Late last Thursday, the Senate stripped $1.2 billion for the claims from an emergency spending bill, along with $3.4 billion in long-overdue funding for a settlement with American Indians who say they were swindled out of royalties by the federal government. Even the attention the Shirley Sherrod case brought to the issue of discrimination at the Agriculture Department could not bring lawmakers together on a deal. Instead, Republicans and Democrats alike proclaimed their support for the funding, appeasing important constituencies, while blaming the other side for not getting anything done. The result: thousands of black farmers and Indian landowners will keep waiting for checks that most lawmakers agree should have been written years ago. “If you say you support us, then, damn it, do it!” said John Boyd, a Virginia farmer and the lead organizer for the black farmers’ lawsuits. Sherrod’s resignation under pressure from the Agriculture Department over her comments about race, and the subsequent White House apology, brought fresh attention to the black farmers’ claims. In explaining why he acted so hastily in asking her to resign, Agriculture Secretary Tom Vilsack said he and the department were keenly sensitive to the issue of discrimination and race given the agency’s dismal track record on civil rights. For decades, minority farmers have complained of being shut out by local Agriculture offices, well after the days of blatant segregation. 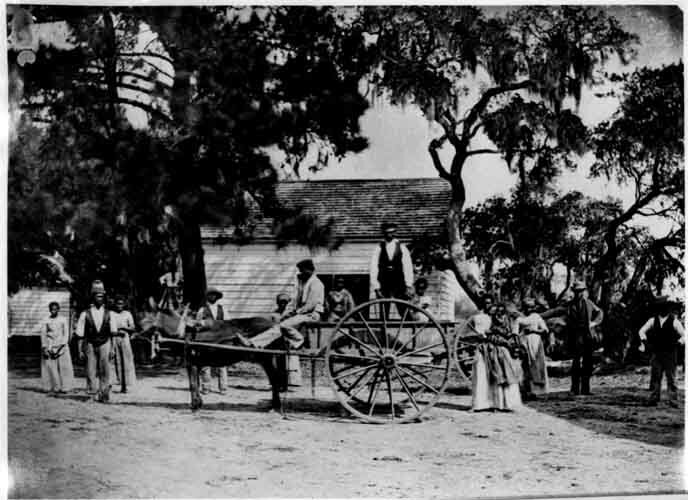 African Americans, for example, complained that loan committees across the rural South were dominated by white “good ol’ boys” networks that gave the vast majority of loans and disaster aid to whites while offering scraps to blacks. 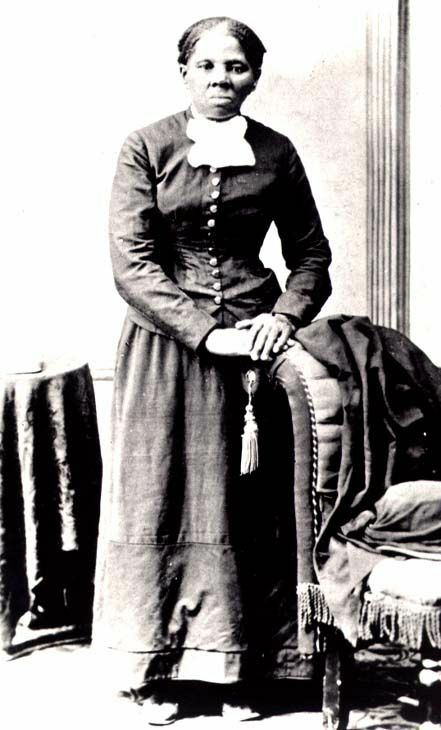 Sherrod herself was a claimant in a case against the department. She had been part of a cooperative that won a $13 million settlement just last year. The department also has faced persistent complaints of racism and discrimination in its own hiring, and government audits going back two decades have found that complaints often sit for years without attention. The Government Accountability Office, an independent federal watchdog, reported in 2008, for example, that the Agriculture Department was still issuing misleading reports about discrimination and still did not have a firm handle on how many complaints were outstanding or how they were resolved. The auditors said their findings raised questions about whether the department took the issue seriously. Vilsack and his boss, President Barack Obama, say they do, and they have acted far more aggressively than the Bush administration to resolve minority settlements. The blockade has come in Congress. Leaders in both parties say they support the funding but things break down when they try to hash out how to pay. The money for both the black farmers and the Indian landowners was stripped from the Senate war-funding bill last Thursday after the House passed it this month. Senate Republicans objected to a variety of other Democratic priorities as well, insisting they be paid for rather than adding to the federal deficit. Democrats offered a variety of proposals, including one package that included tax increases on oil companies and multinational companies. Republicans objected, calling instead for spending cuts elsewhere. “This is an interesting game we’re playing around here,” Democratic Sen. Harry Reid, the majority leader, said last week when asked about the black farmers’ money. He said Republicans are simply stalling the funding. A spokesman for Senate Republican Leader Mitch McConnell disagreed that Republicans are stalling and noted that several Democrats also voted against consideration of the whole package of add-ons, including the black farmers’ money. The final bill was passed without a recorded vote. “There was no game, only a unanimous, bipartisan vote,” said McConnell spokesman Don Stewart. The black farmers’ settlement is the second round of damages stemming from a class-action lawsuit the government originally settled in 1999. The new money is intended for people who were denied earlier payments because they missed deadlines for filing. Individual payments will depend on how many claims are filed successfully. 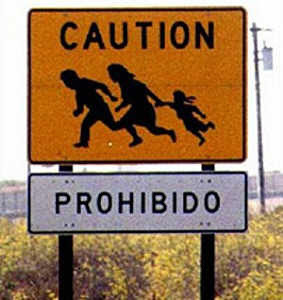 The Agriculture Department also faces further lawsuits from Hispanic and Indian farmers. In the Indian landowners’ case, the plaintiffs claim they were swindled out of royalties overseen by the Interior Department since 1887 for things like oil, gas, grazing and timber. The settlement, 14 years in the making, must be approved by Congress. Boyd said the farmers he works with do not care about the machinations of Congress. All they see is a dysfunctional body that cannot get a broadly supported goal accomplished. The farmers do not have the lobbyists and fat campaign contributions that get lawmakers’ attention, he said. Willie Adams, a 60-year-old farmer who has been raising chickens all his life in Greensboro, Ga., said he has had to let his farm sit idle in recent months because he lacks the money to invest and cannot get loans. "Vilsack Must Keep Black Farmers On Their Land: One Million And A Half Black-Owned Farm Acres Being Looted By USDA While Farmers Wait For Justice"
Secretary Vilsack admitted in a press conference today, "I did not think before I acted." It is clear from Agriculture Secretary Vilsack’s press conference today that he failed to do his job appropriately in his treatment of United States Department of Agriculture (USDA) employee, Shirley Sherrod. Sherrod was fired after her superior, USDA Deputy Under Secretary Cheryl Cook asked Sherrod to pull over on her drive from south Georgia to Athens, Georgia and quit her job after a speech made by Sherrod to the Coffee County NAACP was aired on a Douglas County TV cable access channel and then posted on the internet by Andrew Breitbart, a known conservative, activist blogger. Sherrod, a veteran advocate for Black Farmers, who the USDA admits have been discriminated against, was fired because the White House feared that Glen Beck was going to discuss her alleged racist remarks on his TV show that night. It turns out, however, that the tape of Sherrod's remarks had been badly doctored and the doctored version had been posted on the internet. Glen Beck and the entire Fox News operation were reacting to the doctored internet posting. Ms. Sherrod was fired without having an opportunity to explain her side of the story and before the White House and Secretary Vilsack had even bothered to look at her entire speech. "The White House and Secretary Vilsack threw Shirley Sherrod under the bus before they had the facts," said Cynthia McKinney, who knows Sherrod and has spoken often at the Coffee County NAACP. Unfortunately however, Secretary Vilsack has also thrown Black Farmers under the bus. To date, despite abundant headlines to the contrary, Black Farmers, including the named plaintiffs in Pigford v. Glickman (1997), Lucious Abrams and Cecil Brewington have not even had a meeting with USDA, to settle their discrimination claim. Others who did receive settlements were then harassed by the Internal Revenue Service and had their bank accounts frozen and their Social Security payments offset by any government payments, including stimulus payments. "The actual so-called settlement of the lawsuit was worse than the discrimination that the USDA has admitted to and discrimination is continuing at this very hour," said Pigford plaintiff Black Farmer Eddie Slaughter. "The President is meeting with everyone except those who brought forward the lawsuit and those who suffered discrimination and the violation of their Constitutional rights," said Lucious Abrams. Eddie Slaughter and Lucious Abrams met with Secretary Vilsack and apprised him of the current situation, but the Secretary to date has failed to act. The Shirley Sherrod episode shows how quickly legitimate Black interests are thrown under the bus due to fear on the one hand and racial incitement for political purposes on the other hand. "President Barack Obama should meet with Black Farmers who are leading the lawsuit," said McKinney, who has been active for years on the Black Farmer issue. Despite winning the lawsuit, plaintiffs in Pigford have not been made whole and therefore have not received justice. Over one decade later, lead plaintiffs on the lawsuit have not even had a hearing on the merits on their claim of discrimination, now admitted by the USDA. Claimants got paid, but actual farmers did not. The result is that over one million black-owned farm acres are at risk of being lost due to acceleration of collection of debt, foreclosure, bankruptcy, and USDA and USDOJ deliberate delay resulting in delinquent notes for Black Farmers. Claimants, who are not necessarily farmers, have been paid out of the judgment fund. Meanwhile, class counsel (Alexander Pires), the adjudicators (Poorman Douglas), the arbitrator (Michael Lewis), the DOJ (USDA is paying DOJ), the facilitator (JAM in Dispute), the monitor (Randy Ross) were all paid over $300 million dollars of taxpayer money, yet actual Black Farmers are yet to be made whole. “Under Agriculture Secretary Vilsack, USDA is still engaged in a racket that will result in the theft of black-owned land,” said McKinney. Both the White House and Secretary Vilsack have issued public apologies to Sherrod. A Review Of "A Case of Race II"
If we wait until the last minute there may be no getting around the chaos that erupts when you are face to face with the kind of confusion that causes the carriage to turn into a pumpkin, and the steeds to become rats. The whirlwind that Marcus warned about, what he said, would come, will happen in a short time. Those who have the power to see are those few who have the capacity to know, that, it is five (5) minutes Until midnight and that is why we can’t wait too. 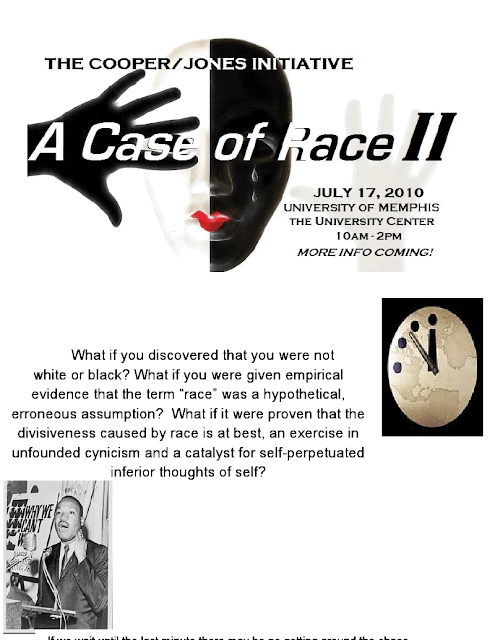 On Saturday July 17, 2010 the Cooper/Jones education Initiative sponsored the symposium, “A Case of Race II; Why We Can’t Wait Too” at the University Center on the campus of the University of Memphis. The hosts, Representatives Barbara Cooper and Ulysses Jones, again brought a host of individuals together to be presented with scientific and etymological evidence that “race” has played a key role in the ills of our society and that its subjective nature should be investigated by all. There were a host of visitors from the State Government as well as numerous other individuals, scholars and laymen, who listened with great attention, to presentations by Professor Clifford Black and Mr. Al Lewis, both have developed social-growth and learning programs that have outstanding track records. Mr. Lewis opened the presentation by showing a video, that was produced some 7 or 8 years ago that clearly defined the role of “race” as it relates to DNA. Proof was shown where there is no DNA evidence that supports the concept of “race”. Race does not exist at that level, which clearly identifies “race” more of a culprit than anything relevant to a society of human beings. Mr. Lewis also stated, through his presentation on the “Barriers to Learning”, how America’s public school system has all but downgraded education at the lower grade levels thus making it harder to achieve scholarly status at the next level of education. Citing studies done of students entering university educational systems and failing to make the marks required to continue, Mr. Lewis explained how this system was more or less geared to the development of low achieving individuals who could not seek the higher paying jobs that are available thus maintaining a “class separation” by proxy. Professor Black, who is a renowned scholar of etymology and epistemology, spoke of the seemly deliberate miss-education of American students in the understanding of the important role that language plays in the ability to learn. Professor Black showed how the understanding of words, at their root, can provide better comprehension. How contextual usage and how, more times than not, individuals really do not “know” or even understand exactly what is being said to them. Through their inter-active discussion with the audience they were able to show how our thought processes, levels of knowledge and abilities to communicate have been corrupted at the primary educational level where people should have been taught the importance of language. It was clear throughout the presentation that many audience members went from defiance to mystifying confusion to perhaps the beginnings of greater understanding that they may need to reassess their learning abilities. Recognizing that when it comes to thinking and believing that what we hear is what we understand, it comes down to knowing that you know and stop relying on what you've been told. This symposium, by design, is informative, educational and, by some estimates, spiritual in nature. Mr. Lewis also presented evidence that contradicts many of the myths that some of us have used as guides to living and how these myths were created to mislead and in some cases enslave individuals for a lifetime. I would recommend that the next installment of “A Case of Race” be attended by everyone who thinks they have a firm grip on their knowledge and I would dare anyone who comes to be of the same mind set upon the completion of this symposium. Since then activists have responded through legal challenges, political lobbying, grassroots organizing and mass mobilizations. More than a hundred thousand people from across Arizona marched on the state capitol on May 29. Today, hundreds more have pledged to risk arrest through nonviolent direct action. These are the public manifestations of a widespread struggle happening in this state. The organizations leading this fight offer a template of inspiring and strategic action for people around the US who want to join in resistance to these policies. Puente Arizona, a Phoenix-based organization that describes itself as a human rights movement working to "resurrect our humanity," has formed Barrio Defense Committees in neighborhoods across the city. Emulating the structure of groups founded by popular movements in El Salvador, the community-based structure work to both serve basic needs, and also build consciousness and help bring people together. The committees host regular "know your rights" trainings and ESL classes, and are organizing Copwatch projects. "We ask the community to unite and organize themselves," says Puente activist Diana Perez Ramirez. "And we are just there to support that." More than one thousand people have joined these neighborhood organizations so far, with more joining every day. Puente has made use of volunteers from across the US, utilizing national support to help with local organizing, and initiating direct action with the support of out of town allies like The Ruckus Society, Catalyst Project, and various chapters of Students for a Democratic Society (SDS). They have issued calls to action including a Human Rights Summer (modeled after the civil rights movements' Freedom Summer) and "30 Days for Human Rights," a month of actions culminating in mass civil disobedience today, the day SB 1070 will become law. Just after midnight, as the law took effect, the first protest of the day began. Nearly 80 people blocked the intersection at the entrance to the town of Guadelupe, a small - one square mile - Native American and Latino community just outside of Phoenix. Residents and elected leadership in the town have a history of public criticism of Maricopa County Sheriff Joe Arpaio, who has been one of the main public faces of SB 1070, and most of the protesters (and all of the organizers) were from the community. Holding signs declaring their opposition to the new law and leading chants against police brutality, activists declared that Arpaio's officers are not welcome in their town - a point they made concrete by physically blocking the main road leading in. The stand off against police lasted more than an hour, before protest leaders in consultation with the town's mayor decided to open the intersection. Several more actions are planned for throughout today, and Arpaio has threatened mass arrests. The Repeal Coalition, a Flagstaff- and Phoenix-based grassroots organization, was formed in 2007. The group came together because they saw a vacuum in the immigrants' rights movement in Arizona. "Some of the left here were not being very audacious," explains Luis Fernandez of the Repeal Coalition. "The positions in the public debate ranged from 'kick them all out,' to 'get their labor and then kick them out.'" The Repeal Coalition has staked out a position of calling for the elimination of all anti-immigration laws, declaring, "We fight for the right for people to live, love, and work wherever they please." With this call, says Fernandez, "Now we can have a real debate." When the coalition was founded, organizers brought in labor activists to advise them on how to build an organization along similar models to those that have built strong unions, utilizing house calls, neighborhood mapping, and group meetings. Although they are an all-volunteer group with little to no funding, they have developed a structure that has initiated large protests and provided direct service, and they are now strategizing more ways to take direct action and non-compliance in the post SB 1070 era. In this vision, he has been inspired by young organizers working on the DREAM ACT, a federal law that creates a path to citizenship for undocumented youth. "They came to Arizona and said, 'we're undocumented and we're going to commit acts of civil disobedience.'" At first, Repeal Coalition members tried to talk them out of this action, but the youth explained, "We are going to lose our fear because it is the fear of being arrested or the fear of being deported that fuels the inability of political action." The bravery and vision of these youth has inspired Fernandez to continue to search for new and bold ways to take action, rather than just continually respond to right wing attacks. "We need to set the agenda," explains Fernandez. "We have to say, 'No, you're going to react to us.'" Jordan Flaherty is a journalist, an editor of Left Turn Magazine, and a staffer with the Louisiana Justice Institute. He was the first writer to bring the story of the Jena Six to a national audience. Haymarket Press will release his new book, FLOODLINES: Stories of Community and Resistance from Katrina to the Jena Six, in 2010. He has produced news segments for Al-Jazeera, TeleSur, and Democracy Now! and appeared as a guest on CNN Morning, Anderson Cooper 360, and Keep Hope Alive with the Reverend Jesse Jackson. He can be reached at neworleans@leftturn.org. Mumia Speaks: Is Steele Too Real? Ezrah Aharone: The New "We The People"